Friends and family should be arriving soon so here’s a local and personal favorite for entertaining. We’ve got a lot of Spanish influence in Miami and something that they’ve created that’s right up my alley is Catalan Allioli or aioli. It’s a mixture of olive oil, lemon juice, garlic, water and sometimes egg yolks. There won’t be anymore talk of eggs today. I tossed the potatoes until they were coated with the spice and oil mix and them laid them out on a metal baking sheet lined with waxed paper. 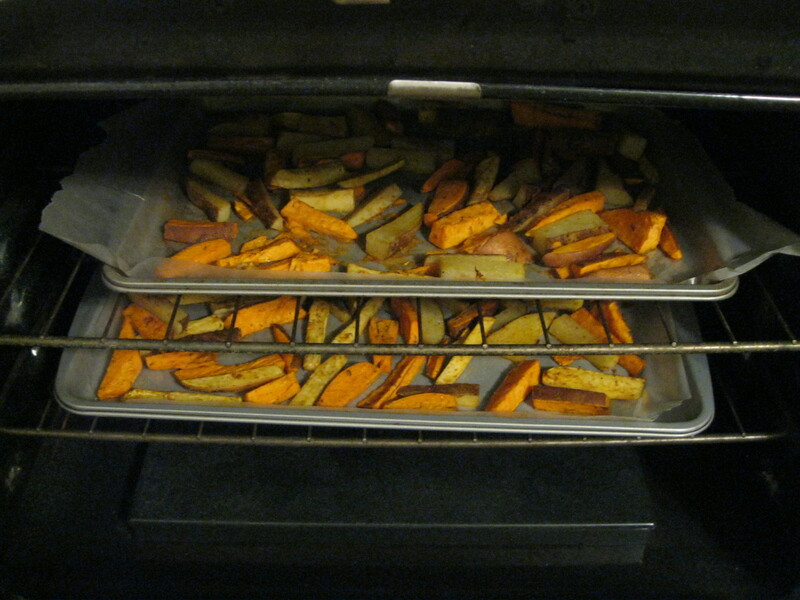 I baked them at 375F/190C for one hour. 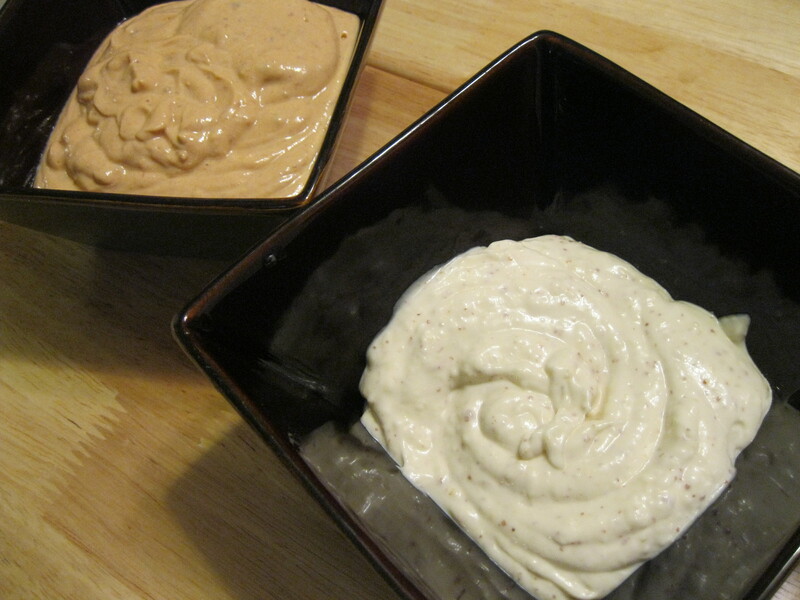 While you’re waiting on your potatoes, it’s time to make some dipping sauce. I made 2 sauces. It is possible to mix this in a food processor or blender but I don’t recommend it: it can be very thick and you’ll forever be scraping sauce off the walls of your blending device. 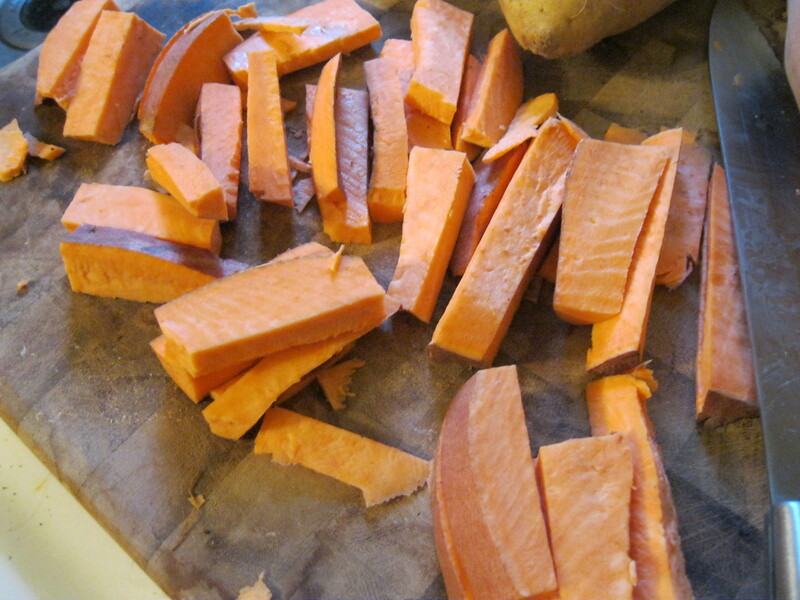 Mix these well using a fork in a shallow dish, prepare for dipping satisfaction!